A toolbox that stops sooner, rides smoother & sees the future. Make space for everything in a package that brings confidence to all who ride inside. 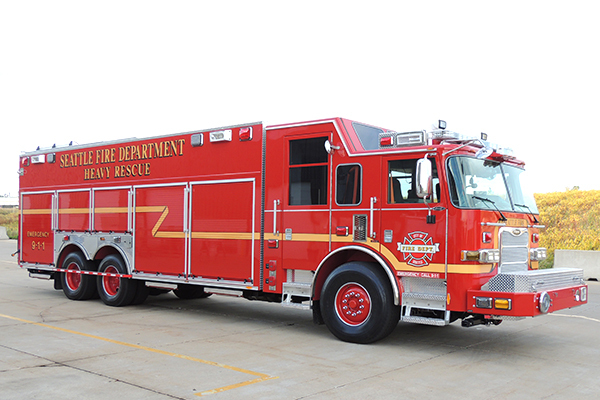 With best-in-class features like TAK-4® independent front suspension and Command Zone™ prognostics, rescue departments can count on the safest, most comfortable transport with unquestionable service. Incident after incident. Year after year. 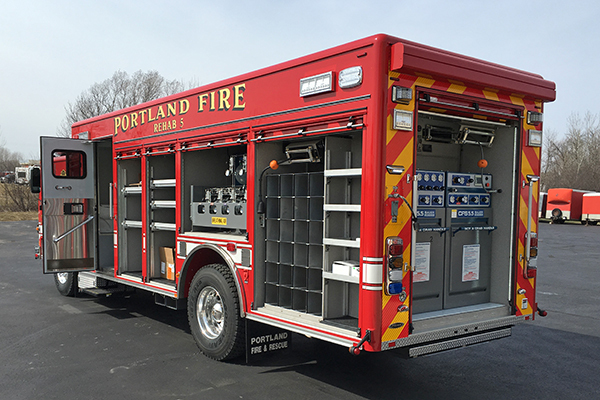 Explore single-source, bumper-to-bumper rescue configurations. 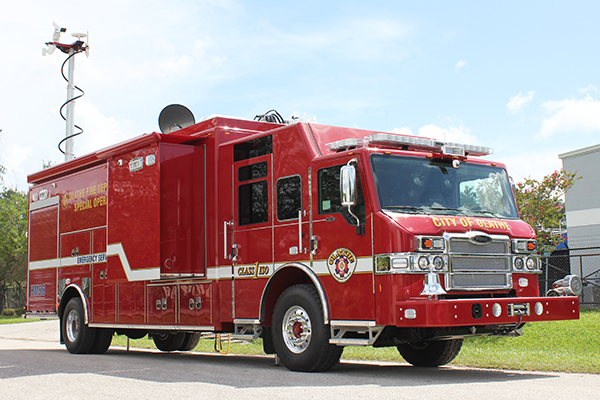 Increase fire scene capabilities with extensive mobile breathing air and light support. Get a variety of bottle fill configurations supplied by bulk storage or endless breathing air supply through mobile compressor units. Light up the scene with fixed or articulating lights in both 120V and 12V light head configurations. 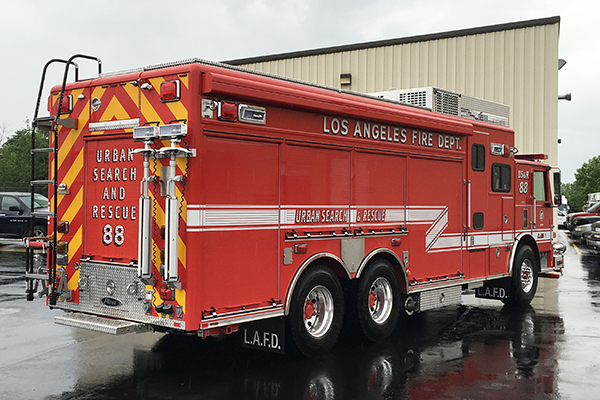 Custom dive units deliver efficient, easy-to-access storage for critical equipment while maximizing space for personnel with bulky gear. Storage capacity and configuration flexibility are optimal to meet the demands of this specialized unit. Manage the scene and the threat of explosives. Units may include bomb retrieval robots, detonation devices, special storage, tools, and ramps. 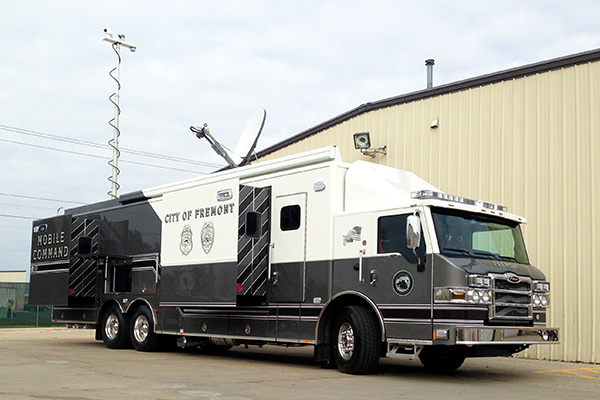 Can feature command centers with radio/video equipment plus room for personnel. Designed for intervention of hazardous materials. Often feature a command center with vast storage for specialized suits, over-pack drums, and decontamination equipment. Can include computer and weather gear, radio/video monitoring, and small labs for analyzing material. 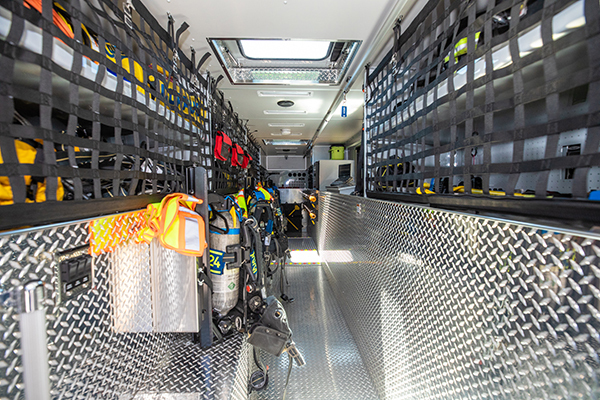 Mobile equipment storage center designed to carry any and all types of tools: extrication devices, ladders, backboards, breathing air bottles, medical equipment, salvage, and overhaul equipment. Command-style units used to manage, organize, and monitor incidents for long durations. Include radio/video equipment, as well as room for personnel, food storage, and conference rooms. 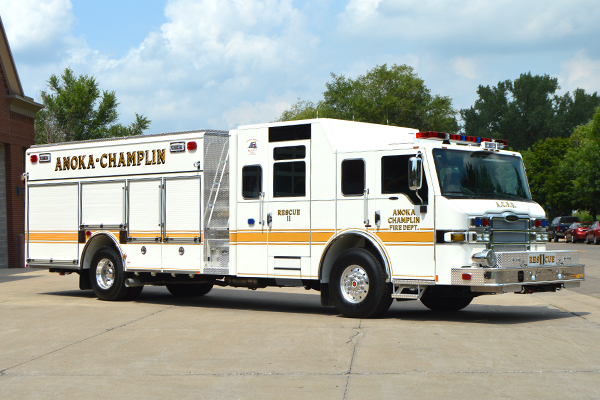 Police, fire departments, and government agencies often rely on this vehicle type. Designed to operate in a support function. 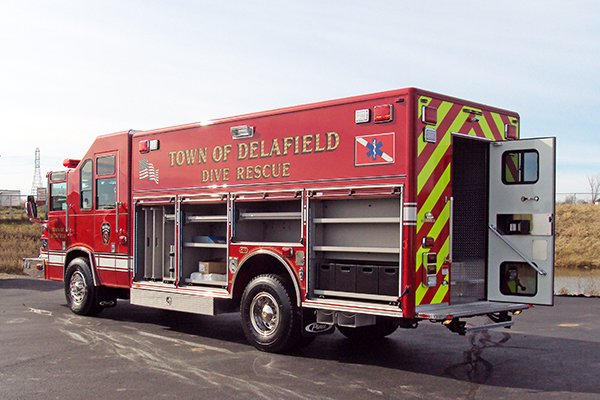 May provide fireground support (personnel, salvage and overhaul equipment, additional SCBA bottles, etc. ); rescue support (hydraulic or air tools, air bags, winches, etc. ); and/or other specialized support (dive or ice rescue, emergency medical rescue, or below-grade rescue). 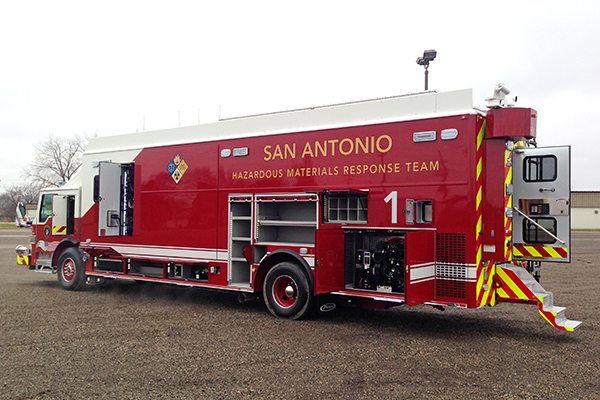 Specially designed for mitigating natural and man-made disasters. Equipment spans the spectrum in rescue and recovery, with air and hydraulic tools, winches and lifting tripods, shoring materials, and cutting equipment.